The Best Cardio Machines of 2018 - Start Burning Calories Now! What is the best way to burn the more calories? Both jumping rope and running are highly effective. In hour of doing either activity, a 200-pound person can burn up to 1,074 calories. What kind of cardio burns the most calories? This is a difficult question to answer because it really depends on the intensity and duration of the exercise you choose. Swimming can burn between 300 to 450 calories in a half hour, while sprint intervals or HIIT helps burn between 400 to 500 calories in a half hour. Other intense exercises would include weight loss activities such as Tabata Training, Rock Climbing, Jumping Rope, Rowing, Burpees and Cross-country skiing. These are the best kinds of cardio exercises for saving money and burning fat. Do you ever feel overwhelmed by the latest number of machines available for exercise? It's so hard to choose, as they all have their merits. 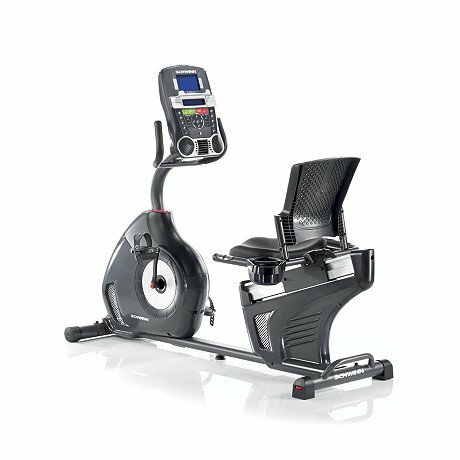 I've done some research on which machine may be the best cardio machine to purchase for your needs. This is what I've discovered. These machines provide a great full-body workout to experienced exercising people. By working both arms and legs, they can match the calorie-burning rate of a treadmill without bearing weight. Unfortunately, they are not the best for a beginner. With improper technique or weak muscles, beginners run the risk of hurting their lower backs. You're going to want some training before jumping onto a rower. However, if you have the experience, these machines are pretty easy to accommodate in your home. They often fold up and weigh less than 60 lbs so that they can be wheeled out of the way. Plus, they don't require an outlet to run, so you're going to love the power efficiency. These gym favorites are low impact alternatives to running that burns almost as many calories. Using the arms is a good way to work the upper body and increase the cardio. Users can usually pick up elliptical training easily. However, this is not the easiest machine to fit into your home. It is one of the largest machines on the market that you can use in a standing position. Most models don't fold up. You'll need a lot of square footage (and a nearby power outlet) to enjoy all the benefits of an elliptical. If you like the heart-pounding excitement of spin classes, you might want to check out a these bike. These machines burn calories without requiring you to bear your weight. For this reason, exercise bikes are often a good choice for people recovering from injuries or just starting out. Unfortunately, it can be hard to track progress with this machine because it typically doesn't track distance. There are distance tracking gadgets that you can buy to pair with the exercise bikes, though. It's one of the easier pieces of equipment to keep at home because of its small footprint and no power requirements. Exercise bikes don't take up much space. These alternatives to spin bikes are more comfortable but still provide the same results. These bikes are also a favorite of recovering athletes looking for high performance. The larger seat supports the back. Spin bikes require using some core and arm strength to sit upright. My friend that loves spinning got a stress fracture in her hip but was able to return to recumbent biking quickly because it supported her better than a spin bike. As a piece of fitness equipment, it is one of the larger options and will occupy a lot of square footage. Often touted as the cardio machine that burns the most calories and lose the pounds, treadmills can be a great home workout option. From beginner to expert, everyone can get a workout on a treadmill. Features like incline help raise the calorie burning to a high level. Many treadmills come installed with programs for endurance training. Like ellipticals, treadmills occupy a large amount of floor space. However, some of them fold up and roll away for easier storage. There are even strange treadmill and stepper hybrids as demonstrated in this Bowflex TreadClimber Review. Dedicated cyclists will enjoy this home exercise option during rain and snow. Bike trainers pair with an existing bike to mimic the outdoor riding experience. 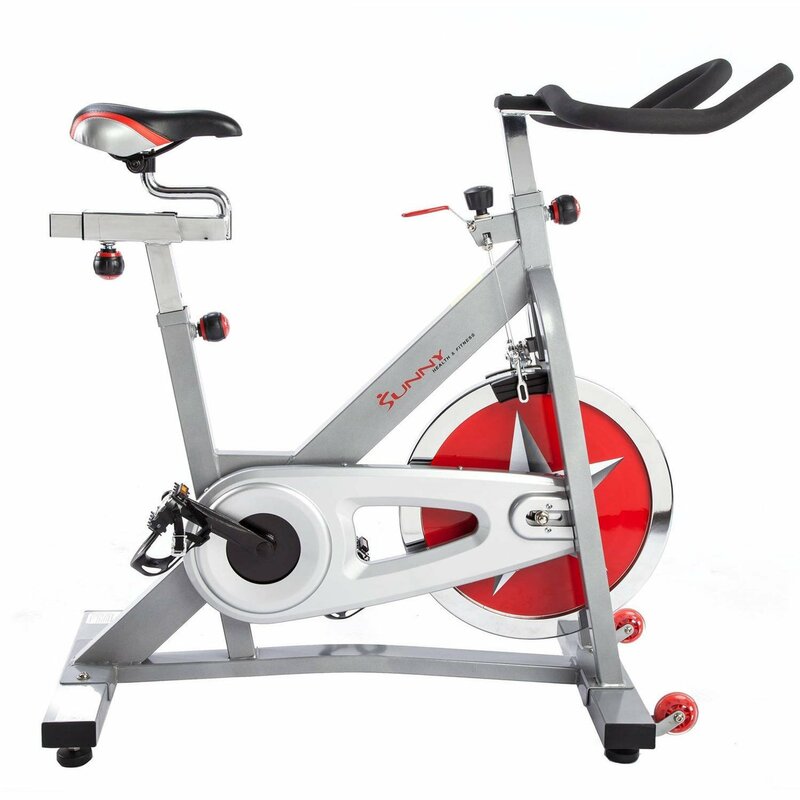 The health benefits are similar to a spin bike, but some cyclists prefer to adjust the seat and handlebars of their own racing bike. It's one of the easiest pieces of equipment to keep at home because it's small, light, and a good price compared to the others. If you're training for a stair climb race, and wanting to lose the pounds, this might be the right choice for you. Steppers mimic the workout of walking or running up stairs. Like treadmills, there are slow and fast settings to accommodate all types of people. However, steppers tend to be more low impact than treadmills. While steppers don't provide a whole body workout, they are effective. However, steppers are a big piece of equipment to keep in your home, much like an elliptical system. 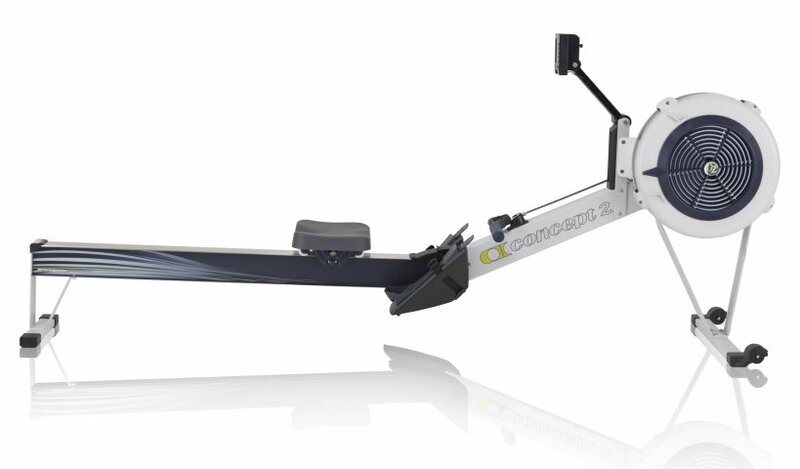 This high quality rowing machine is a great option for a full body workout at home. Although it looks like rowing machines focus on arms, the right technique works all muscle groups including your legs. This is one of the best home rowing machine sets, because it folds up when it's not in use. To pull on this rowing machine is extra smooth. The Concept2 Model D also doesn't require any power. It runs on D batteries and the power of your muscles spinning the flywheel when you pull the straps. You're going to love the workout you can get on this machine. It's much more quiet than running on a treadmill. An Elliptical trainer is a gym favorite because they are a low impact alternative to running. Working more prominent muscle groups, the Sole E35 even allows you to adjust the angle of the footpads for further relief on your joints. There are incline sets up the calorie burn. Plus, using the arms for an upper body workout, this converts into a full body workout. 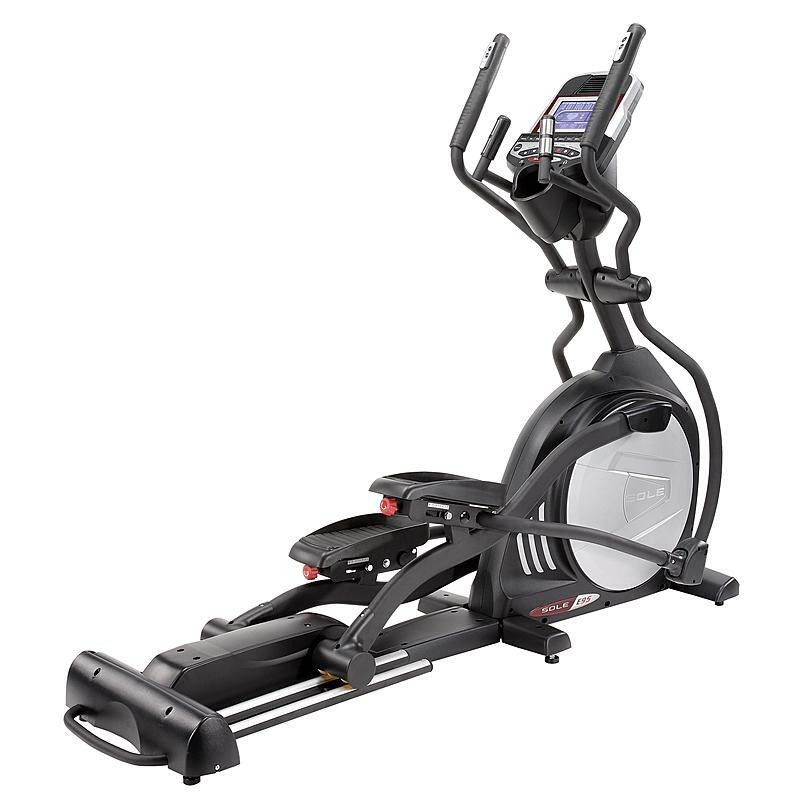 This best home elliptical trainer comes with all the gym electronic favorites to improve your workout, like heart rate monitoring and distance tracking. Just make sure you have plenty of square footage to accommodate this behemoth workout machine. You're going to find this makes a great addition to any home gym for a great workout exercising minutes a day. Difficult installation. It's 236 lbs. Replicate a spin class by using this bike in your home. It has a 40 lb flywheel, just like the ones at spin class in the gym. Turn up the resistance, and you'll burn even more calories and lose weight. This best home model doesn't have any electronic tracking or heart rate monitoring, but that means that it requires no outlets either. It's easy to assemble. Users also like that it has a smaller footprint than much of the other equipment listed here. It has a smaller footprint than much of the other equipment listed here. It's a space-efficient way to lose the pounds, thirty minutes a day. This Schwinn is a high-tech alternative to other exercise bikes. It has 29 programs, so you can choose one to maximize fat burning or endurance. This new Schwinn even syncs with your phone, which is nice. Plus, it has the major benefit of a recumbent bike with a comfortable seat that supports your back. The digital console has data and guides to track your progress. This one of the best home recumbent exercise bikes for quiet workouts. 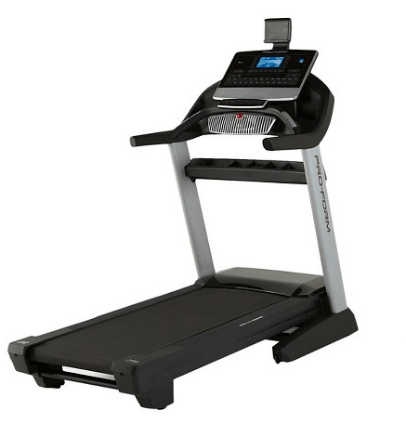 This best home treadmill offers a great cardio workout to people of all fitness levels. Walkers can use both the incline and the decline option in this new treadmill. The latest Proform Pro 2000 was designed to work different muscles and help users lose weight. Runners can bump the pace to a speedy 12 miles per hour (or 5-minute miles). This treadmill comes with all the typical gym accessories like heart monitoring. 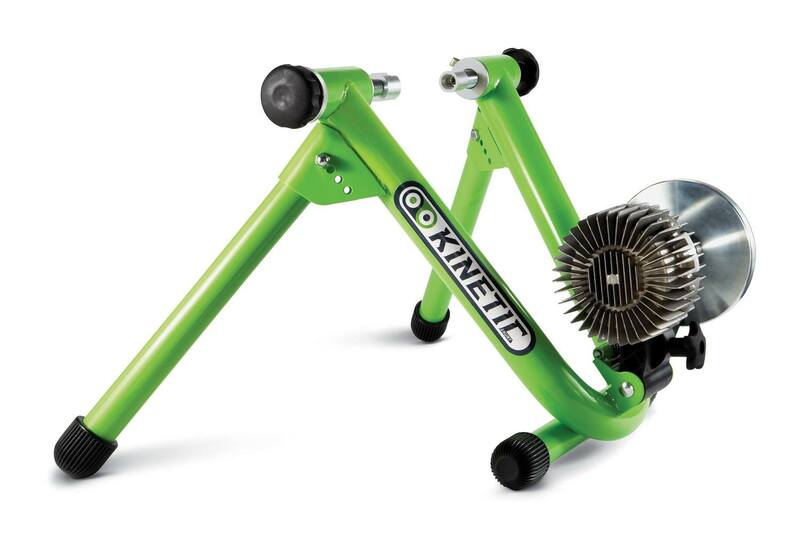 This best home bike trainer is top for avid cyclists that love their bike. It pairs with the rider's bike to mimic outdoor conditions but indoors. As a piece of cardio equipment, it is one of the smallest and lightest for users. This is a great way to shed pounds using the bike you already have. After a workout, this two ft by less than three ft piece of equipment can be put into a closet for storage. It's only 28 lbs. In my search for the best cardio machine for this website, I've discovered that even the best machines have disadvantages. Weight loss calorie burners like ellipticals, steppers, and some treadmills occupy more square footage than I have to give. Smaller options like rowing machines and exercise bikes don't provide all the heart monitoring and distance tracking features that I've enjoyed in the gym. While I still haven't decided which machine to buy yet, I hope that my research has helped you narrow down your options. I have plenty of reviews for you to read on this website. 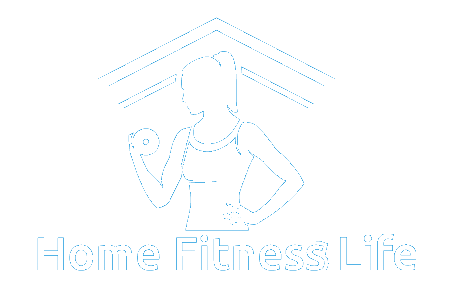 I'm convinced that there is a home cardio machine out there that will work for you! If you're looking for top exercise equipment that won't hurt your back, hips, or joints, read my article on the ​best low-impact cardio equipment. Click here to see more different kinds of exercise equipment I recommend. If you're looking for home gyms, read my guide for the best strength training equipment of 2019.